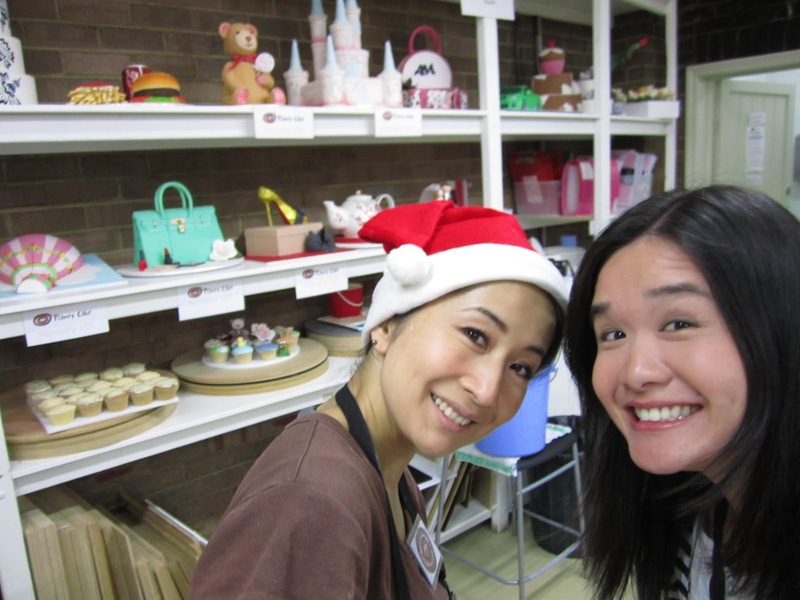 I managed to do my bit for charity this month with a huge 2,000 cupcake making charity drive for the homeless at Planet Cake where I worked alongside numerous volunteers and talented artists like Anna Maria Roche (Right) and Naoko Irikura (Left) . 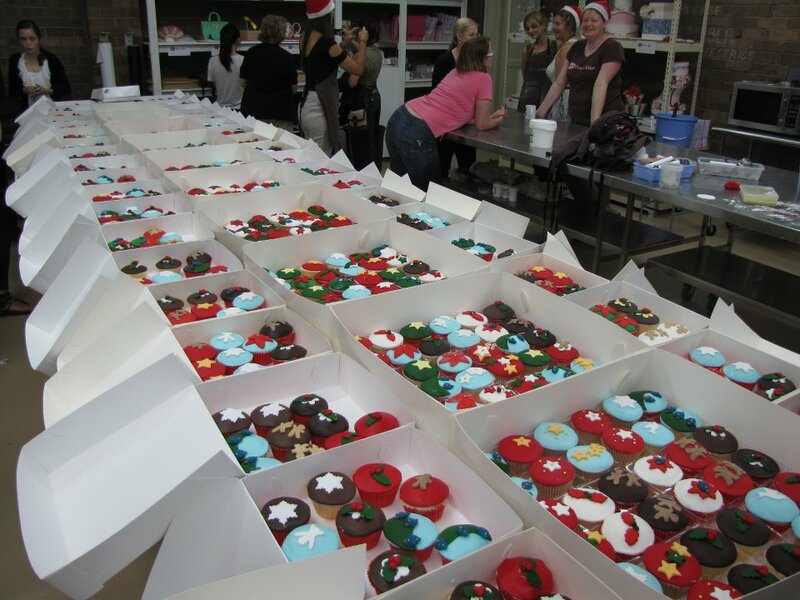 That’s Planet Cake’s course director Lesley to the bottom right. 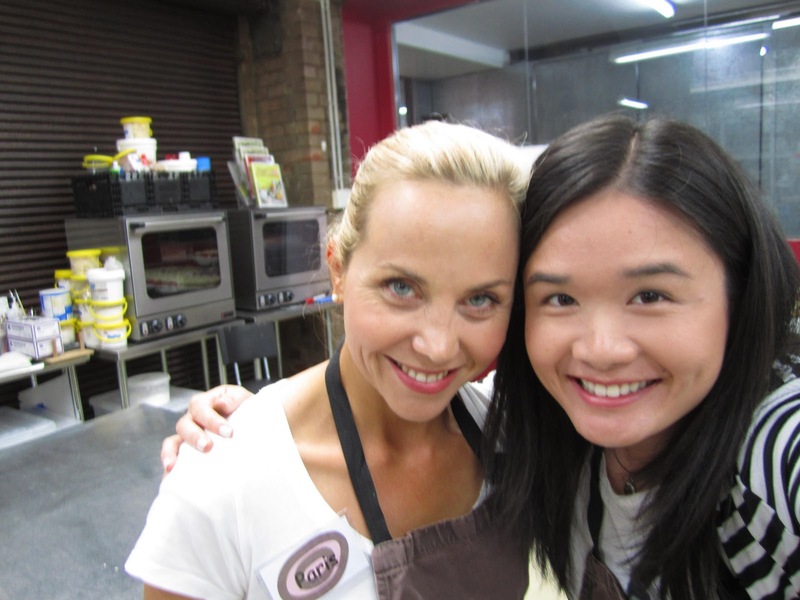 In between ganaching and decorating about 800+ cupcakes during my session, I got some wise words of cake business advice from brand-building genius (and now also a Logie nominee!) Paris Cutler. 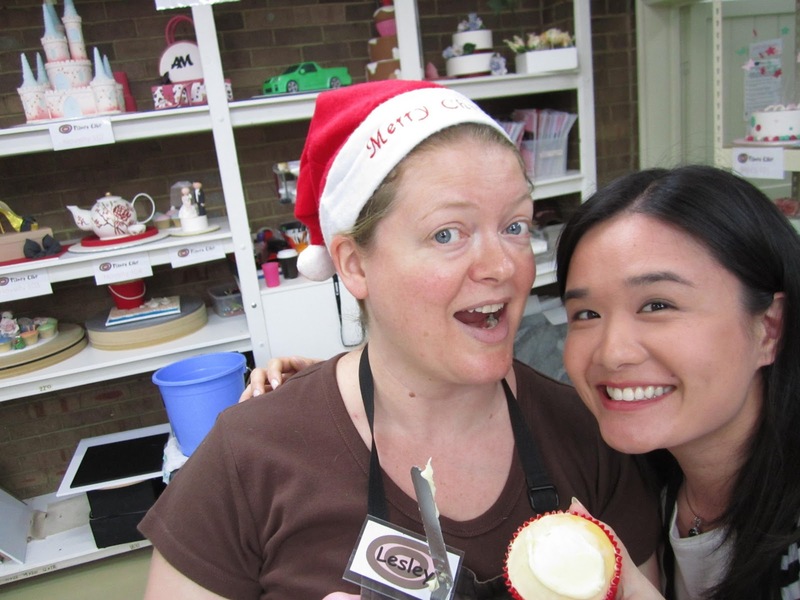 * Please excuse my atrocious hair… bear in mind this was after a very long session of cupcaking! The last couple of little projects for 2011 were fun and quick little efforts to round out an pretty crazy month. 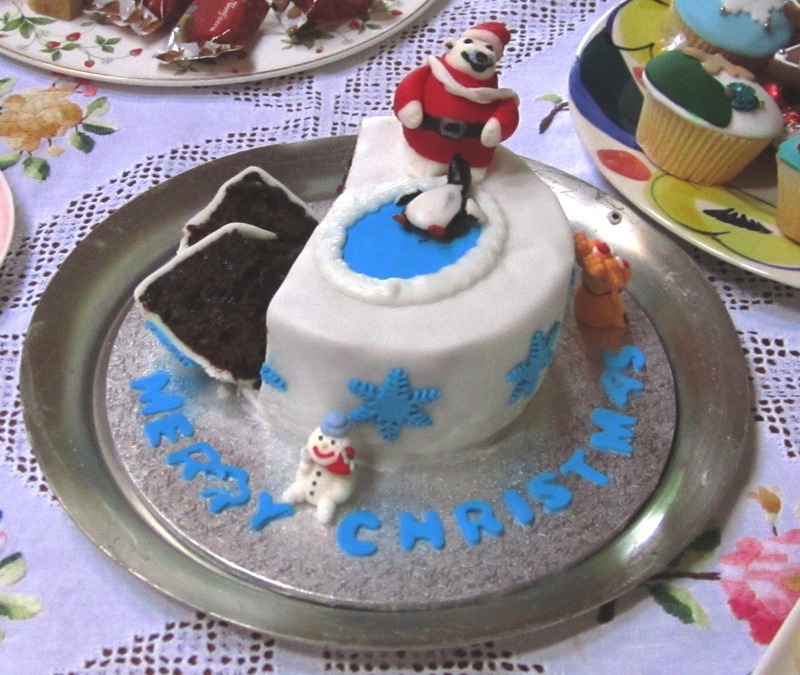 This was a fruit cake with a winter theme and I used a method I read about online to create a Margie Carter designed Santa polar bear and penguin. Click here for a better quality pic of the polar bear and penguin. 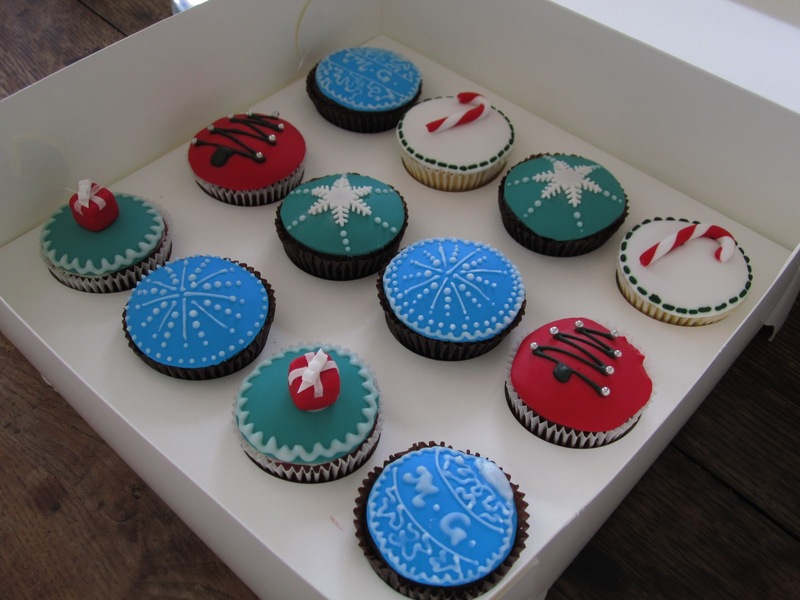 These Christmas Cupcakes were a fun little bunch that I made for a work christmas party and they went down a real treat! 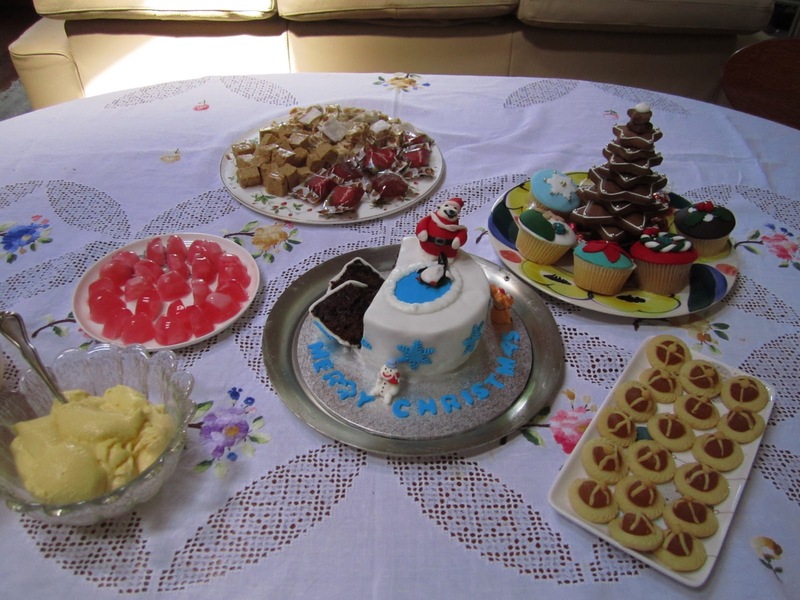 A fun Koala Bear and Castle polka dot birthday cake and one very very exciting Cake Convention. 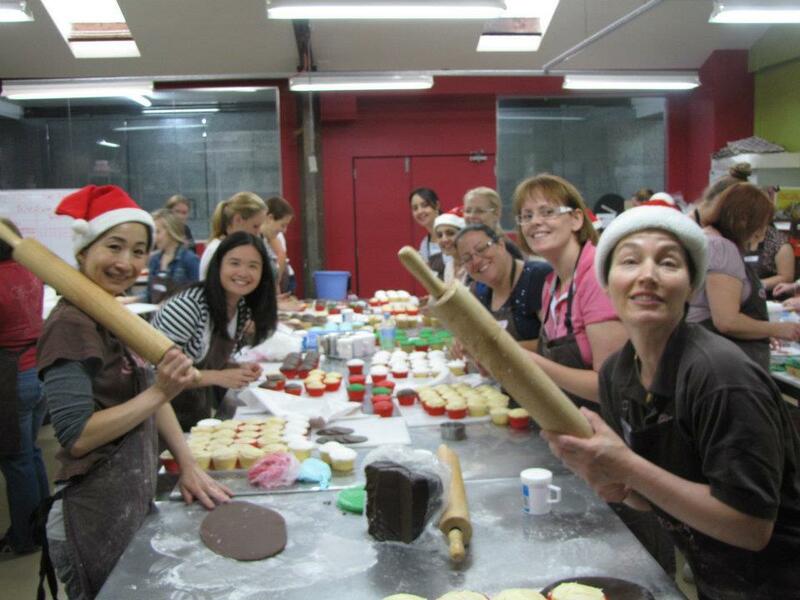 I’ll be learning from hugely talented cake artists including UK novelty and figurine extraordinaire Debbie Brown, Australian queen of wedding cakes and one of the original Planet Cake owners Faye Cahill, Jean Michel Raynaud of Baroque Bistro and … *drum roll*…. the Cake Boss himself: Buddy Valastro! Words cannot describe how excited I am to meet these guys!! Stay tuned for what promises to be an amazing month and some even bigger news coming soon….